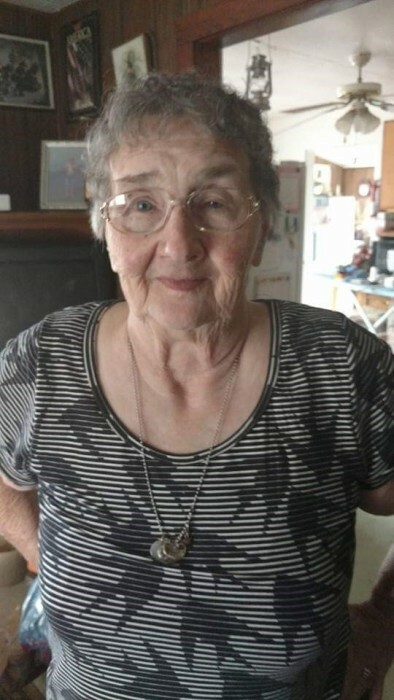 Canton – Mary Lou Owenby Henson, 79, passed away on Wednesday, January 30, 2019 at Haywood Regional Medical Center. Mary Lou was a native of Buncombe County, but had resided in Haywood for 71 years and was a daughter of the late Weaver Wentfard and Ruby Hazel Summey Owenby. In addition to her parents, she was preceded in death by her husband, Robert Lee Henson, who died in 2006 and a brother, Weaver Cleo Owenby. Mary Lou was a lifelong member of Dutch Cove Baptist Church, enjoyed flowers, cooking, yard sales and her family meant everything to her. She volunteered for Meals on Wheels and enjoyed volunteering for many organizations in Haywood County. Mary Lou was a member of the Center Pigeon Fire Department Ladies Auxiliary and volunteered at Meadowbrook and Morning Star schools. She is survived by a daughter, Susan Whitted (Anthony) of Canton; one son, Wentfard Henson (Wilma) of Waynesville; one sister, Joyce Wall of Iowa; one brother, Weaver Owenby; four grandchildren, Alicia Creasman, Kendall Dailey, Chelsie Whitted and Samantha Whitted; two great-grandchildren, Kloey and Makenna Creasman; and several nieces and nephews. Funeral services will be held at 1:00 p.m. on Saturday, February 2, 2019 in the Canton Chapel of Wells Funeral Home with the Reverend Daryl Hannah officiating. Burial will follow at Morning Star Community Cemetery. The family will receive friends from 11:00 a.m. until 1:00 p.m. prior to the services at the funeral home. Memorials may be made to Meals on Wheels (Haywood County), 157 Paragon Parkway, Suite 300, Clyde, NC 28721.